Outlook is everything! How you perceive the world governs your attitude towards it. If you see yourself as a failure, then you will fail. If you have a positive disposition in life, most likely you will succeed. Initially, this man saw right past an amazing opportunity. He was laying by the pool of Bethesda which was believed to have healing power. Because he couldn't walk he was unable to reach the pool when people believed it's healing power was activated. Jesus asked the man a simple question, "Do you want to be healed." Stuck on his shortcoming the man replied with an excuse about not being able to reach the pool! If only he had known that he was talking to the Creator of the universe. Maybe His answer would have been different. Don't look past God. Christ offers us healing in our spirits. 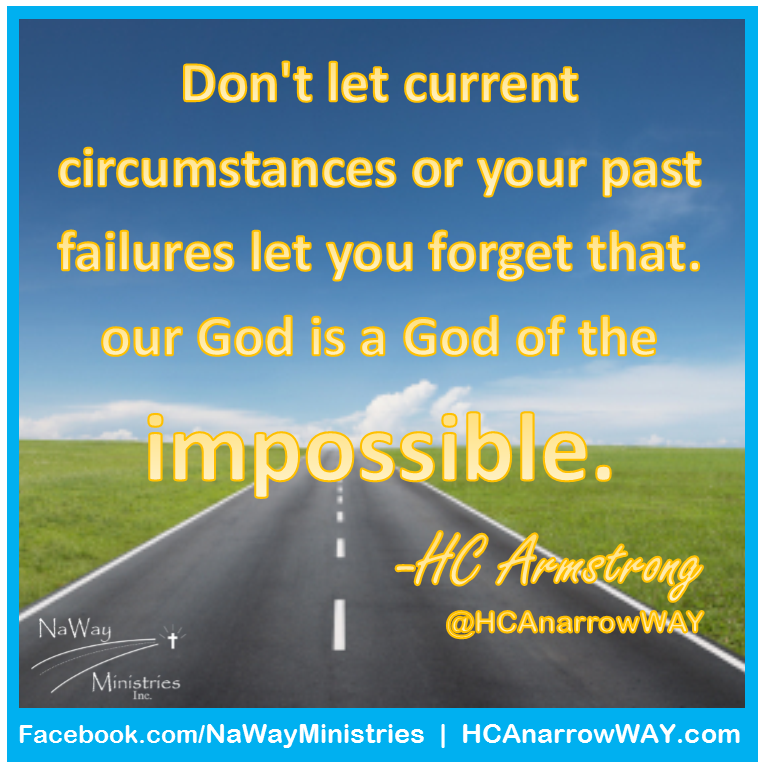 Don't let current circumstances or your past failures let you forget that our God is a God of the impossible. You can get up. You can move forward. Believe that God is able.